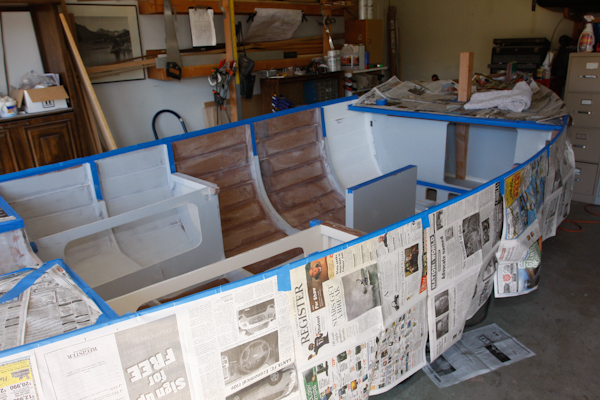 My plan is to leave the Gunwale finish clear so before installation I masked off the interior for several coats of primer. Looks amazing! I am so sorry that dog bite got in your way of working this weekend. I hope you mend soon! Stan, this looks great. 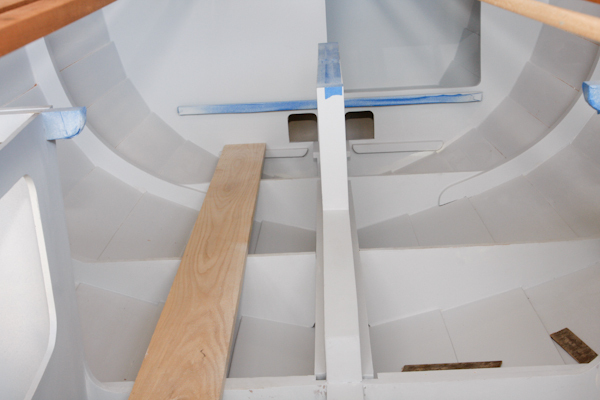 Are you epoxy coating the gunwale? I’m wondering what thickness plywood you used on backbone. Did you find 10mm ply or did you use 9mm? 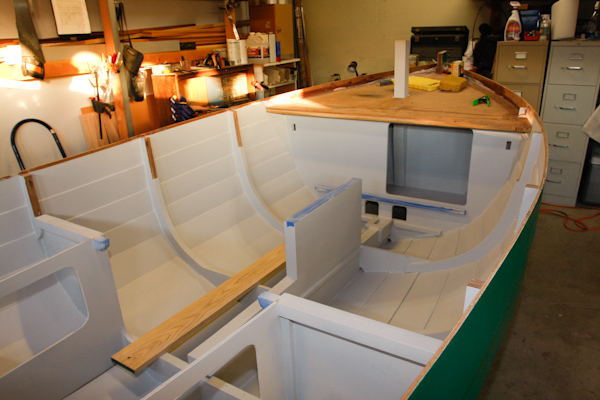 I will not be epoxy coating the gunwale. I am planning to use a deck seal from Flood, (CWF-UV). This is a clear wood finish that is pretty flat is appearance vs the high gloss look of varnish. 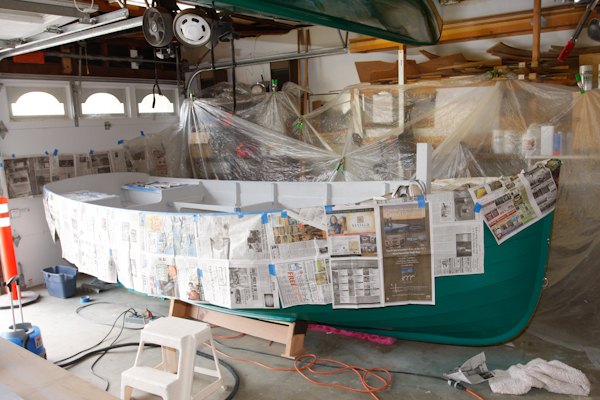 The overall look will be more muted then other boats finished bright, but I think my taste will be satisfied. 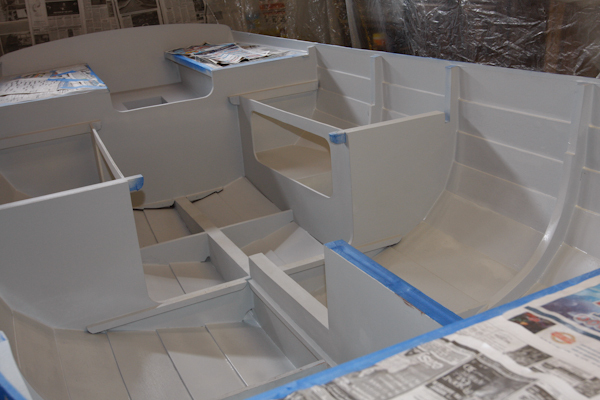 Once I finish the gunwale, I might reconsider if I want more gloss. I won’t use epoxy as a clear coat unless I use a UV protected version. The WEST System epoxy I am currently using is not UV protected and should be covered with paint or a clear UV coating. 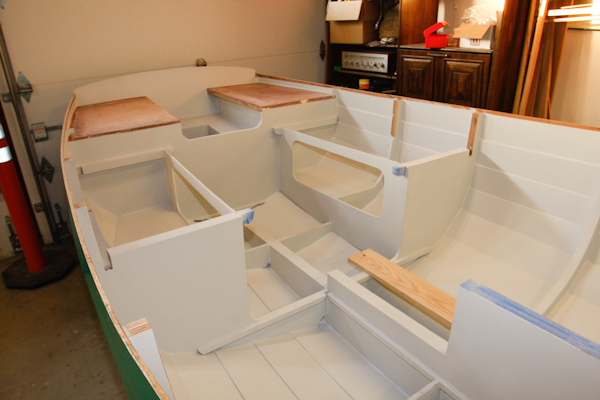 My plywood choices where 9mm (3/8) and 18mm (3/4) Hydrotek Marine Plywood from Allied Veneer. Are you building the Ebihen? If so, I would love to here about your construction project.